Beacon Sports Centre hosted the first Chiltern & South Bucks GLL Sport Foundation (GSF) Awards on Thursday 29th June. The awards evening gave an opportunity to celebrate the successes of local athletes and recognise the partnerships with multiple stakeholders to the programme. 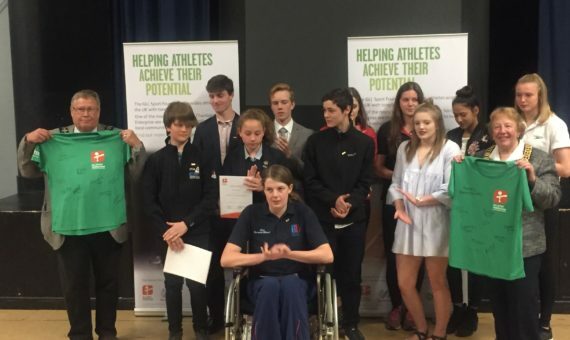 Although athletes from the area have been supported for a number of years, this was the first time an independent awards evening has taken place. 36 people attended including the athletes and their guests, Chiltern and South Bucks Council: Head of Healthy Communities – Martin Holt, Chairman of South Bucks District Council – Councillor Dr Wendy Matthews and Chairman of Chiltern District Council – Councillor Nigel Shepherd. It was fantastic to have representatives from the council to see the impact that the GLL Sport Foundation has on local athletes. We are looking to grow the programme further in this area and have a bigger celebration event next year. Thanks to everyone who attended the awards evening.